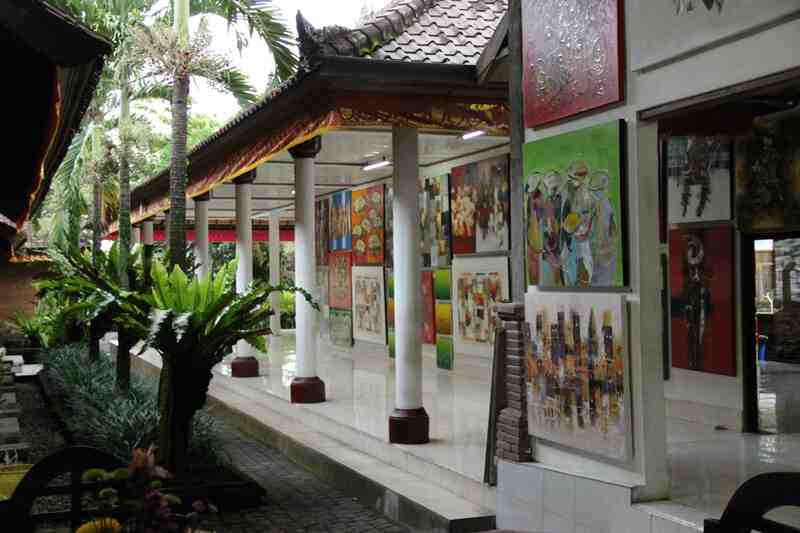 Ubud is truly a city of artists. Every street is suffocated by art shops and galleries. 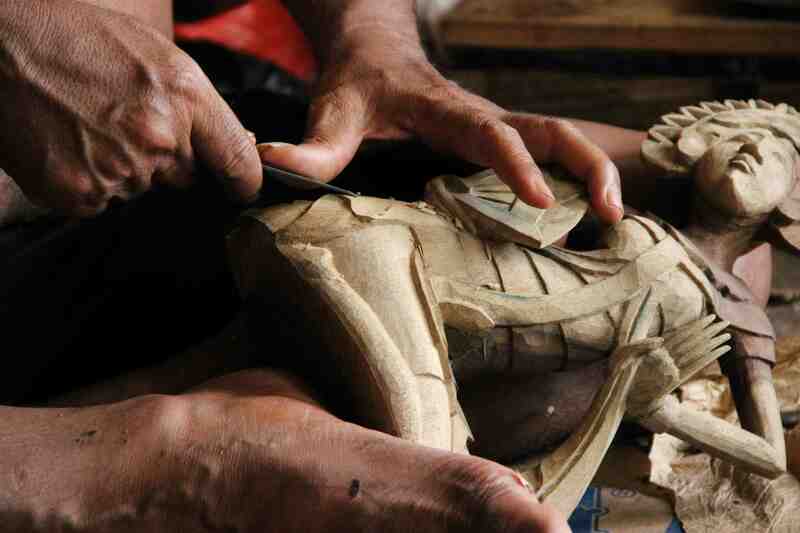 Every shop or gallery is bursting with “handicraps” (as one of our guides mis-pronounced “handicrafts”). Most of these works of art are stunningly intricate, unique and beautiful. Some are tacky (bedazzled plastic sandals), some are crude (carved and painted wooden penises as keychains, statues and magnets) and some are puzzling (silver sculptures of Cinderella’s carriage). But most make you wish you had more money in your bank account to spend on home decoration and collectibles. Even hotels and houses are ornately decorated in the Hindu style. 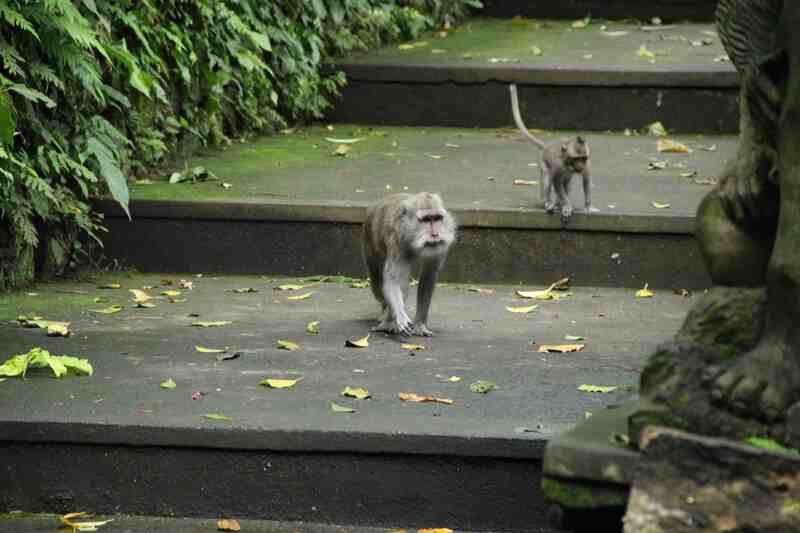 Our hotel, Puri Saraswati Bungalows, used to be the royal palace of Ubud. Our room was in the children’s quarters, and the queen currently resides in a room near the breakfast area. 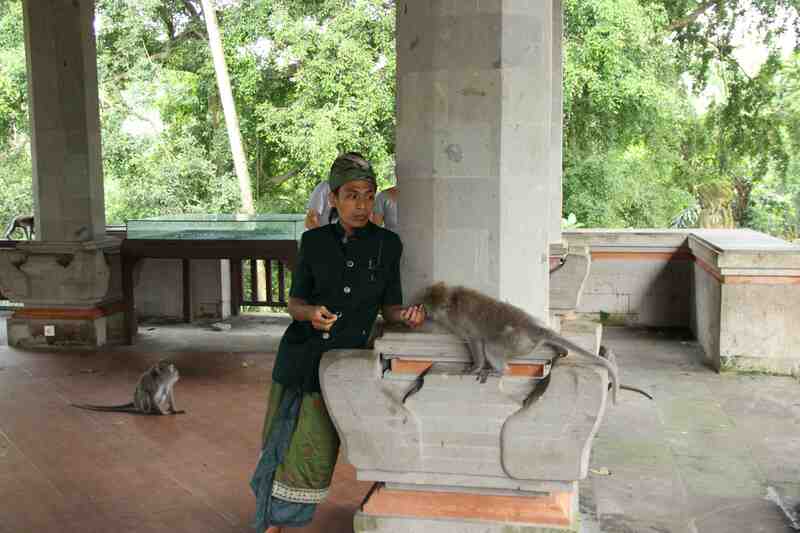 Her husband is deceased, but their son also lives on the grounds, on the other side of the temple. 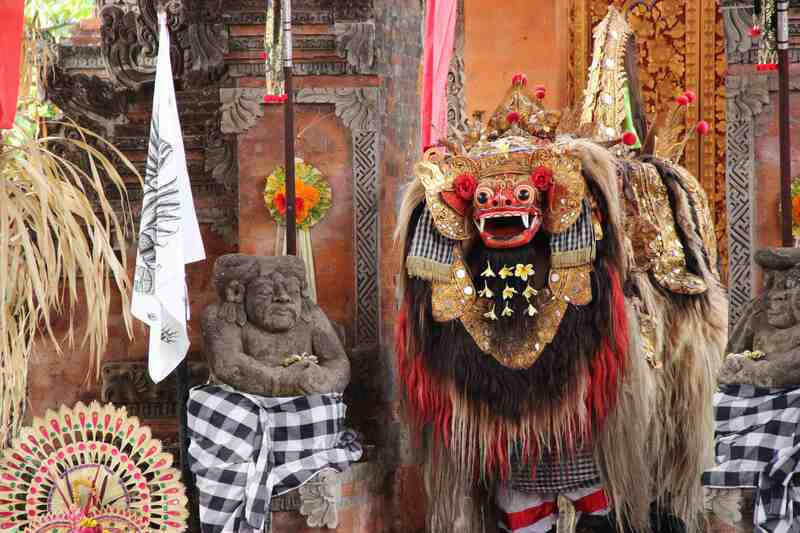 The day started with a “traditional” Balinese dance…but the only patrons were tourists. When we pulled up and piled out of our tourist van, the attendants at the venue lined us up next to two Balinese dancers for a photo – complete with a Plumeria behind our ears. The dance itself was fascinating, but it was clearly adapted for tourists. 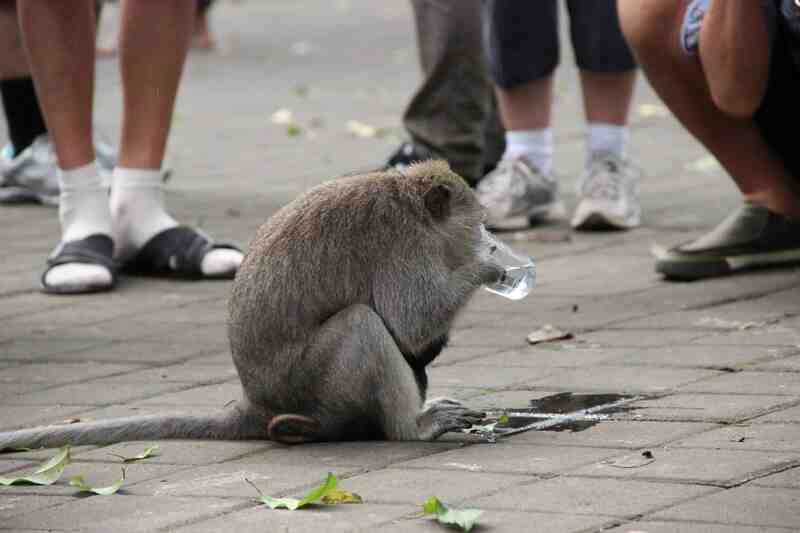 The monkey character in the show made jokes with the crowd and posed for photos. 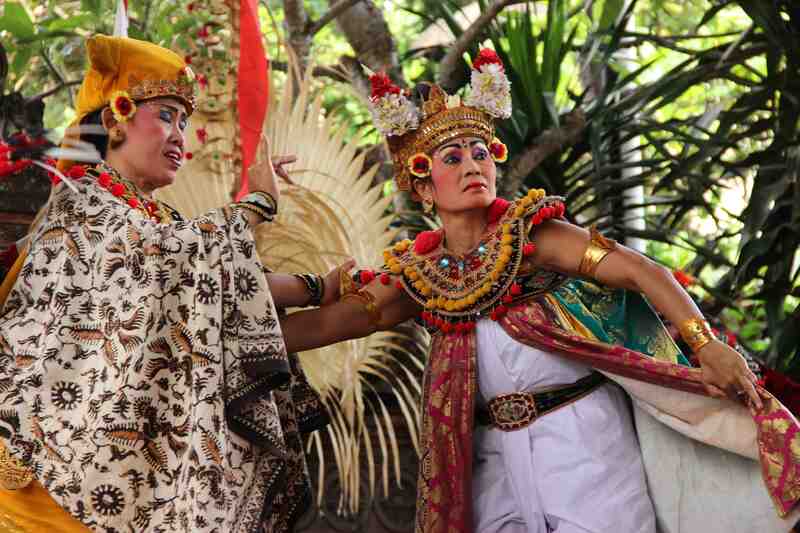 and the diverse characters acting out the story of a Balinese king fighting evil in his kingdom. The most mesmerizing part by far was the gamelan orchestra providing the eerie soundtrack for the show. It seemed to come as second nature for the musicians. It looked as if their minds were drifting elsewhere, but their hands and lungs stayed in time with the group. 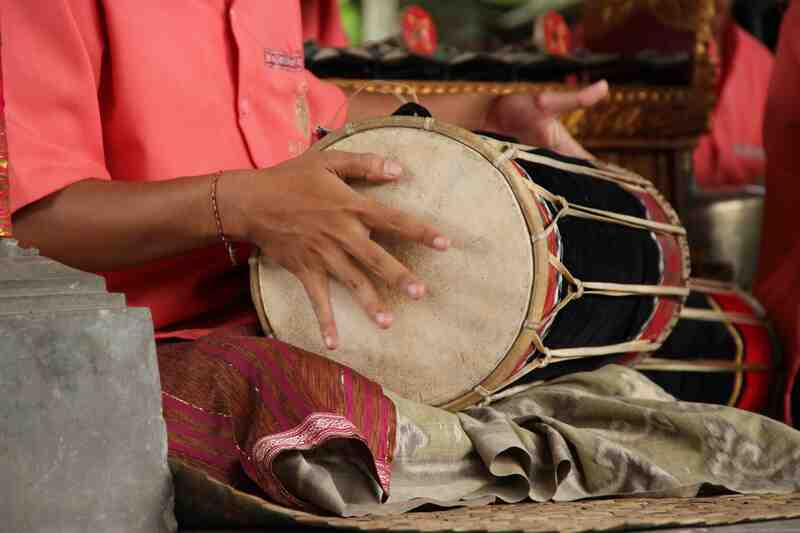 and the drums and gongs pounded in time with the dramatic action. Don’t get me wrong, the show was a fascinating display of culture, but I wasn’t as blown away as I had hoped. 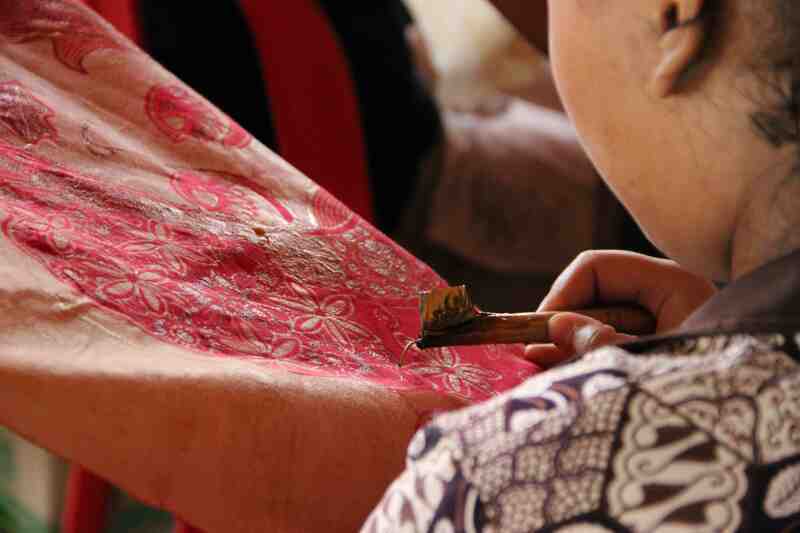 Afterwards, we loaded up into the minivan and went to visit a batik making facility. 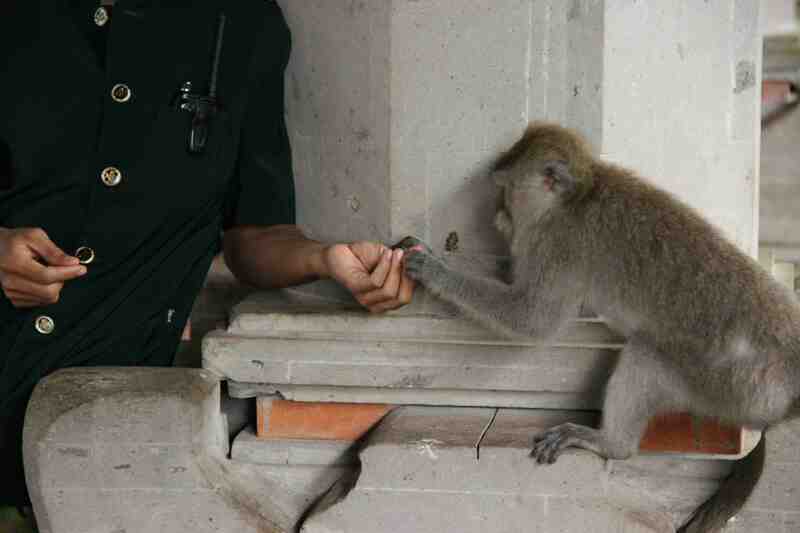 But I couldn’t help but think that it felt a little bit like a human zoo! Tourists even posed for photos with the women weaving! 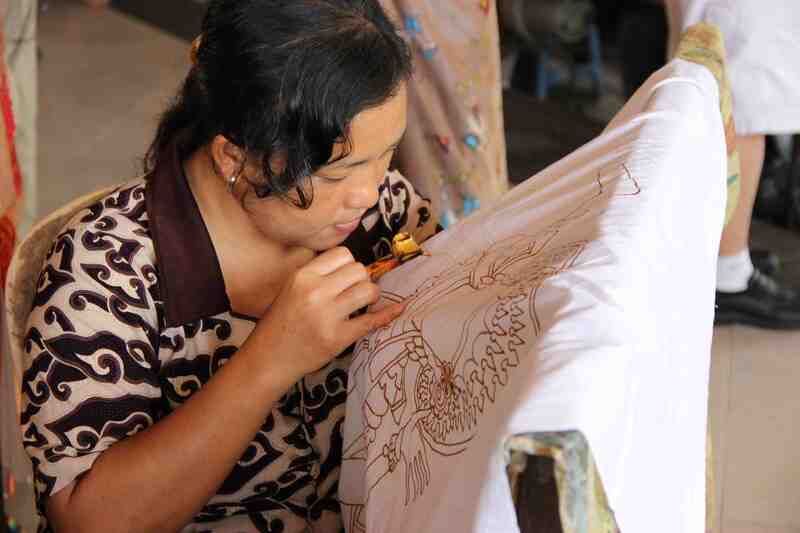 And after watching the demonstration, we were ushered into a massive batik warehouse where you could buy machine-made batik for – you guessed it – double or triple the price as compared to street vendors! But, the variety was truly impressive. We refrained from buying anything from the flashy shop, and then headed to a gold and silversmith to do it all again. 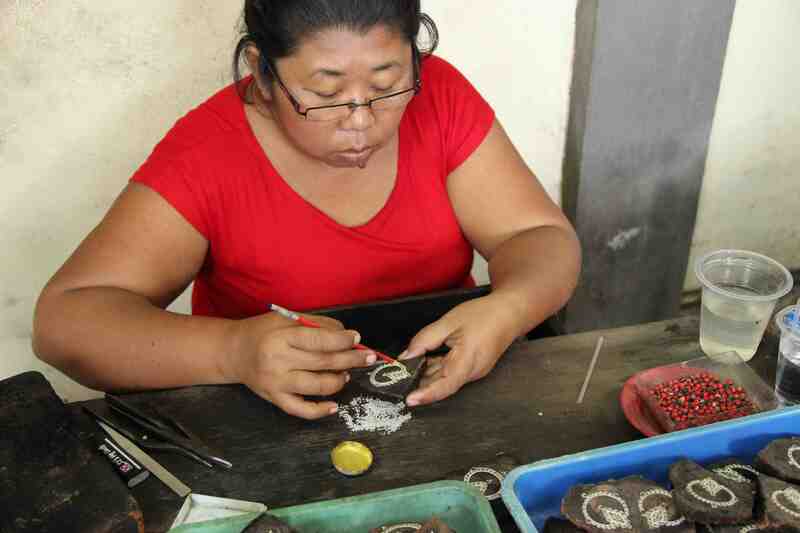 The women outside the shop explained the process of making the silver jewelry (95% silver and 5% copper – or else the product would be too soft). And then inside, friendly salespeople convinced you to purchase overpriced pieces of jewelry. This time, I’m ashamed to say I caved! I bought a Balinese bauble to hang on my charm bracelet. The carvings on the outside bring power to the wearer, and the jingling bell inside is supposed to bring good luck. I did bargain the price down a little, though! 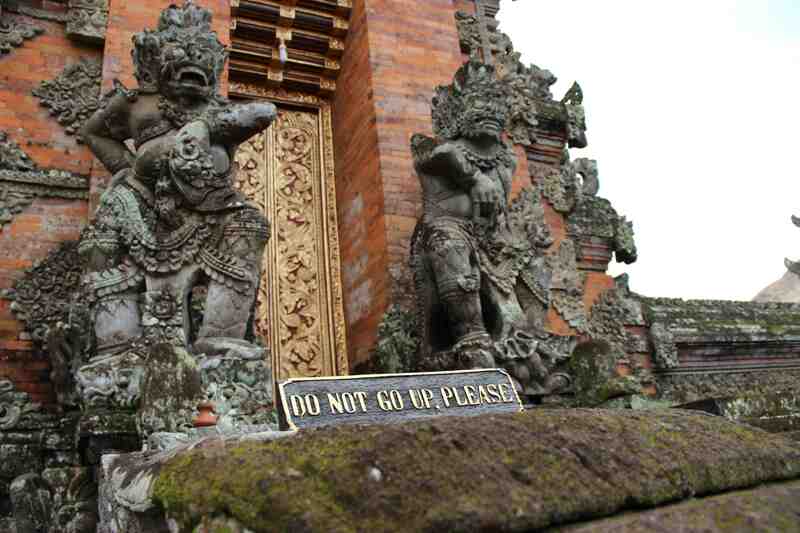 To take a break from the forced shopping spree, we went to the local temple in Ubud, which was quite serene. Before entering, everyone was asked to put on a floor length sarong to show respect. And, a sign outside warned that women were not allowed inside during menstruation – as they are considered to be unclean! A very strange idea when viewed from a western perspective. Those already wearing long clothing had to wear a sash around their waist, which is thought to separate the good and evil forces. The evil spirits come from the ground, so the sash divides them from the good spirits that are above. That’s also why it’s considered very rude to touch someone’s head – where all of their good spirits are. 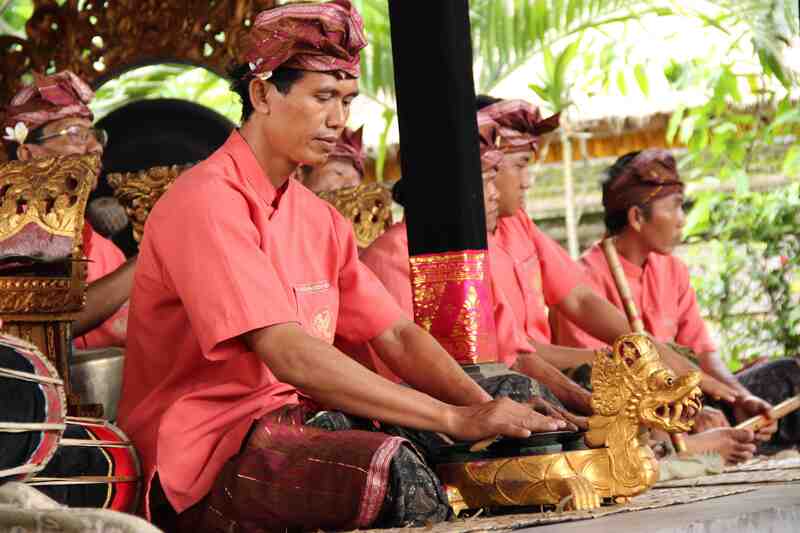 There were also gamelan instruments on display in the temple, so we had a chance to try them out! After our spiritual detour, we were back on the beaten track to see a wood carving shop. The guide in the shop explained that the wood used by these artists is very high quality – hardwood from the forests of Kalimantan (Indonesian Borneo) and Sumatra. It was sad to think that this ebony wood used to be primary forest, and now it is a centerpiece for someone’s table. We refrained from buying anything, not only because the pieces were overpriced, but also because we didn’t want to support logging in what is left of the Indonesian rainforests. 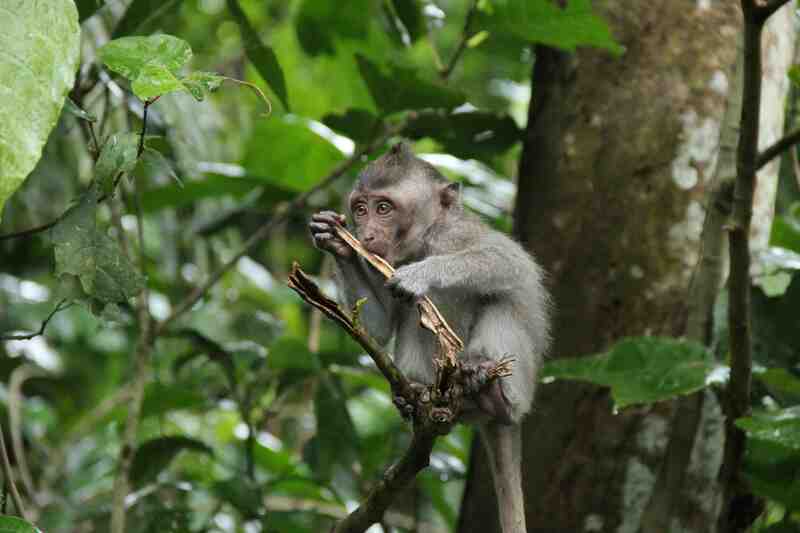 According to the Rainforest Action Network, Indonesia has one of the highest deforestation rates in the world. Less than half of the country’s original forest cover (around 80% forested) remains today. Conservative estimates state that more than 2.4 million acres are cleared each year – wreaking havoc on endangered species (like the Sumatran tiger and the orangutan) as they lose habitat, and quickening the pace of climate change as we lose the massive carbon sinks (systems that absorb carbon dioxide and emit oxygen) that act as the lungs of our planet. With sustainable building materials gaining popularity in the US and in Europe (bamboo, recycled consumer waste, etc. ), I have hope that the use of hardwood is on the decline…and I’ve been pondering ways to help speed the transition away from logging primary forests before they are complete depleted. 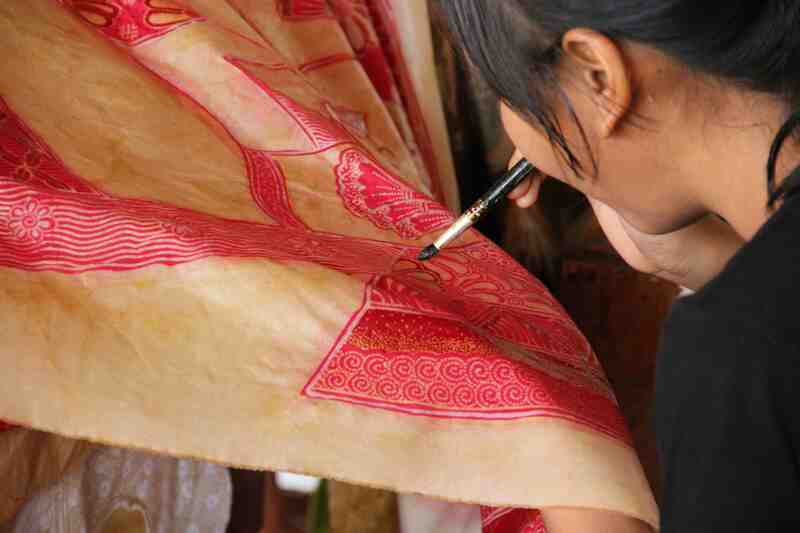 The last stop in the parade of handicrafts was a gallery of paintings done by local artists. The work was beautiful, but incredibly expensive. And unfortunately, the artists themselves probably receive such a small portion of the asking price that it seems unfair. Finally free of the overpriced art, we headed to a coffee plantation for a break. This farm is known for its “luwak coffee,” (or “poo-berry coffee”) which I had only heard of because of the movie, “The Bucket List.” If you’ve seen the movie, you know that this coffee gets its name from a luwak, which is a civet cat. and then excretes them. While the cat is digesting the beans, the enzymes in its stomach somehow change the coffee to make it lower in caffeine and very healthy for fighting diabetes. And it’s supposed to taste much richer as well. So, when the cat excretes the whole berries, people collect the droppings, clean the beans, roast them and then grind them into kopi luwak – luwak coffee. We tried a small cup for 50,000 Rupiah (about $4.50), and it was full-bodied and earthy, but not worth the whopping $700/pound price tag! And definitely not worth the animal abuse that comes with. 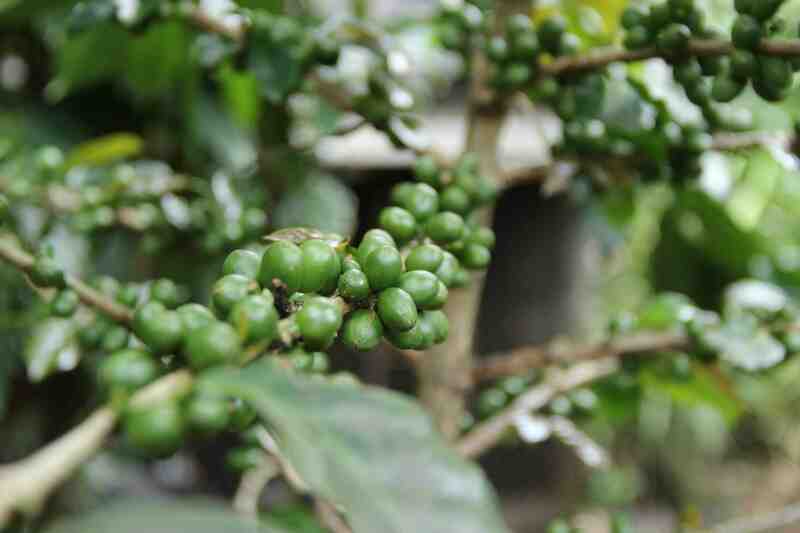 Since gaining popularity, the production of this coffee has been industrialized – factory farm style. 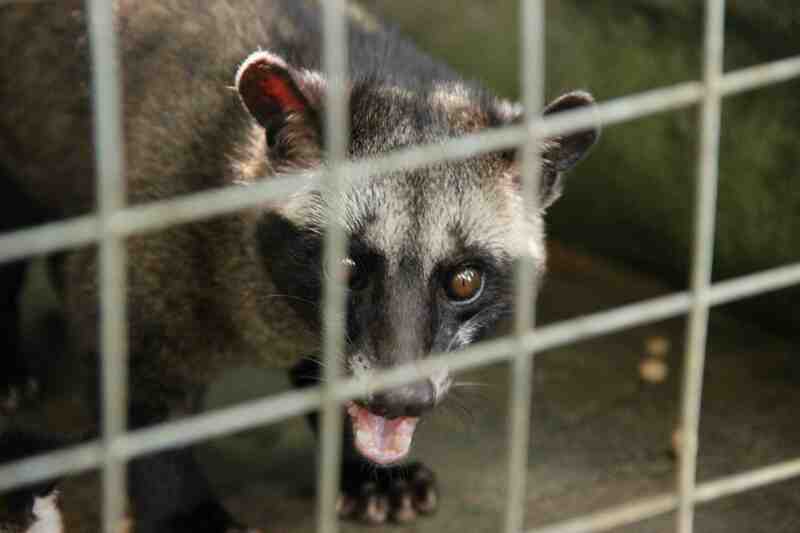 This particular farm had about 50 caged civet cats who are fed coffee berries in order to produce this luxury coffee. The trapping of wild civet cats is restricted by law, but many farms will illegally capture them anyways. 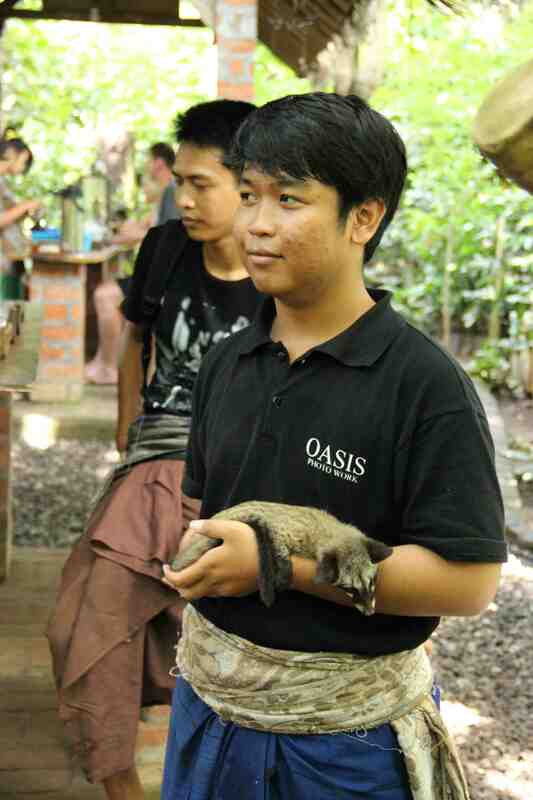 To add to the tourism appeal, visitors could hold and pet a baby civet cat (harmless – unlike their mothers, who will bite and scratch you). This one happened to be very sleepy, since they are nocturnal. 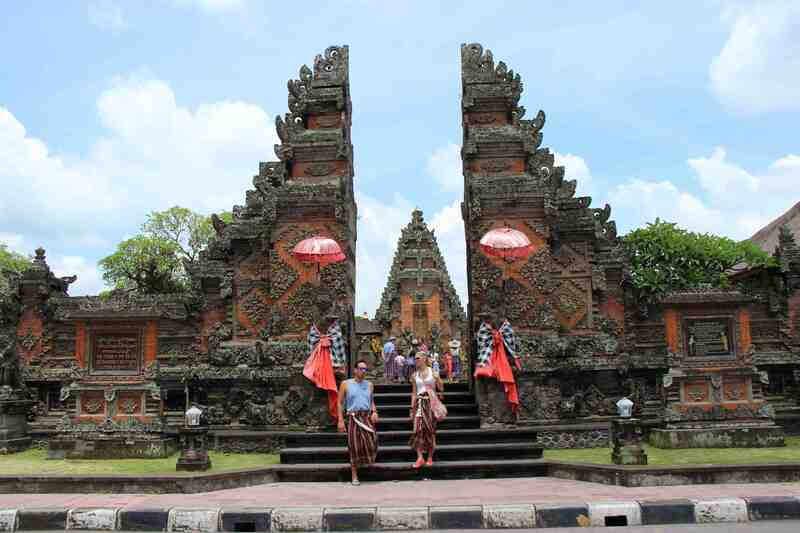 The next stop on our tour was Pura Taman Ayun, a Hindu temple built in 1634. 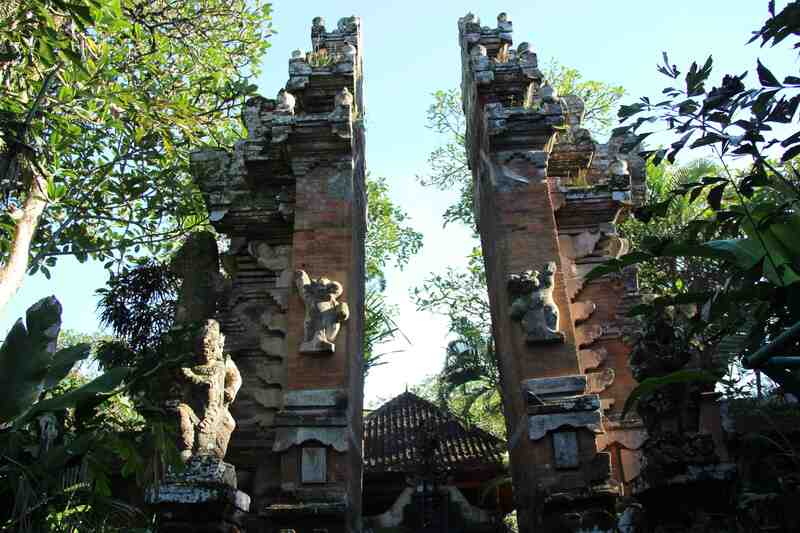 It was the main temple for the Mengwi kingdom, and it is known for it’s picturesque meru – or multi-tiered shrines. 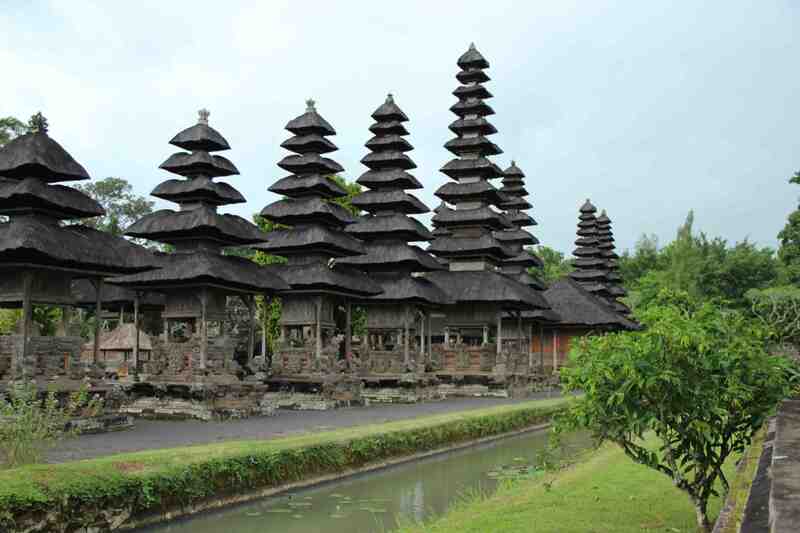 The temple is recognized by UNESCO for its vital role in the region’s rice-growing heritage. 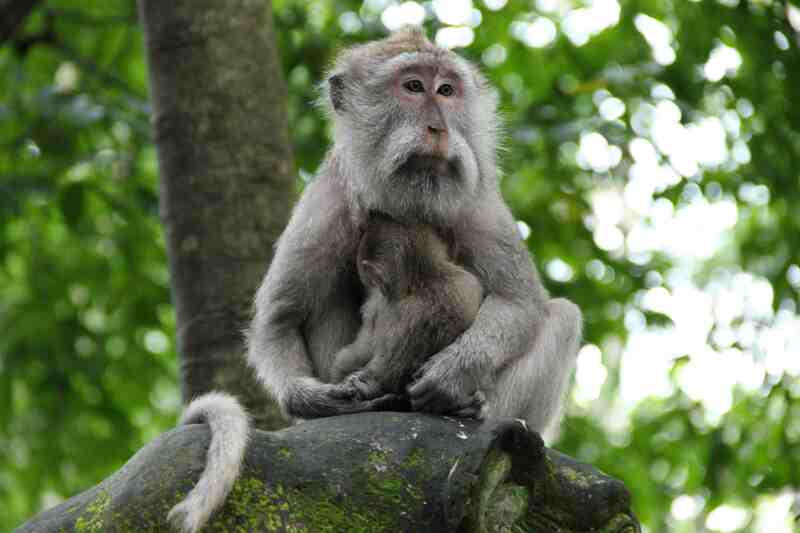 Before heading back to our hotel, we visited the famous Monkey Forest in the heart of Ubud (there’s actually a road named after the place). 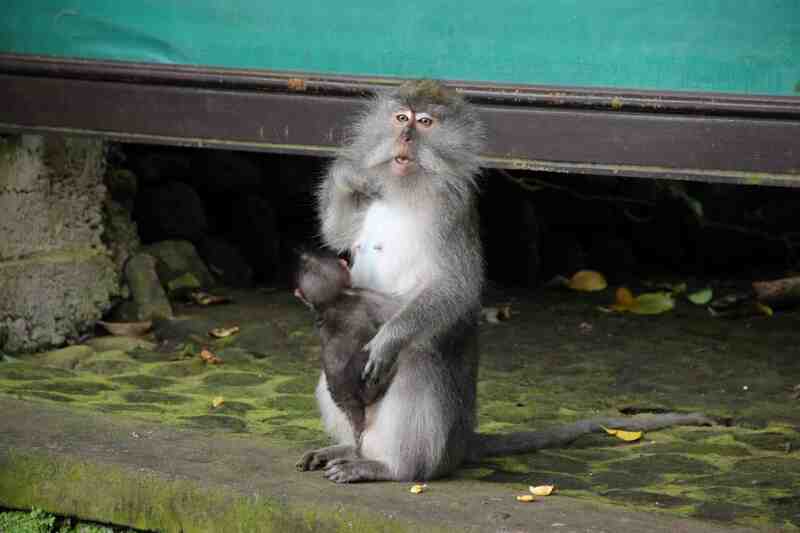 These monkeys are technically considered wild, but they are about as far from wild it as it gets. They are SERIOUSLY cheeky. The first one we met ran up to Ludmila and tugged on her dress, expecting her to feed it. 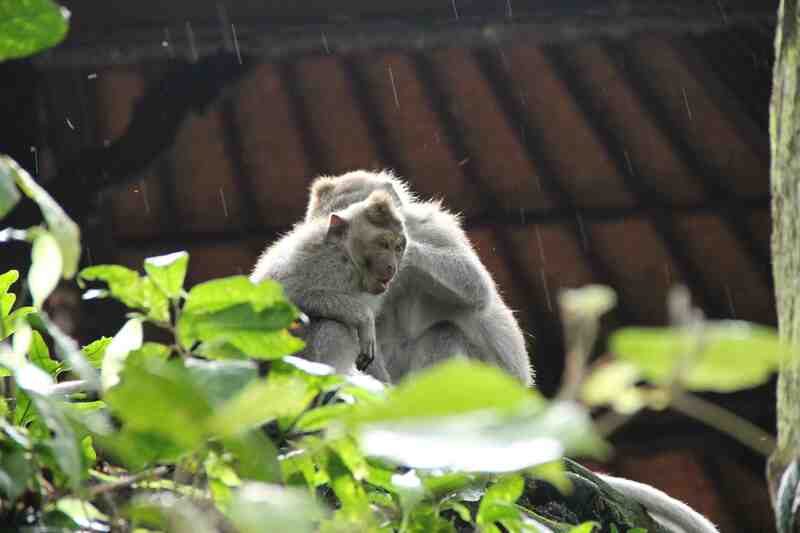 She didn’t have anything, and so Mom flicked some water at it from her umbrella, of course, making him angry! Luckily, he ran off, but it was frightening, because despite their friendly demeanor, they can actually be very dangerous, since they are still wild animals – and they are quite strong! 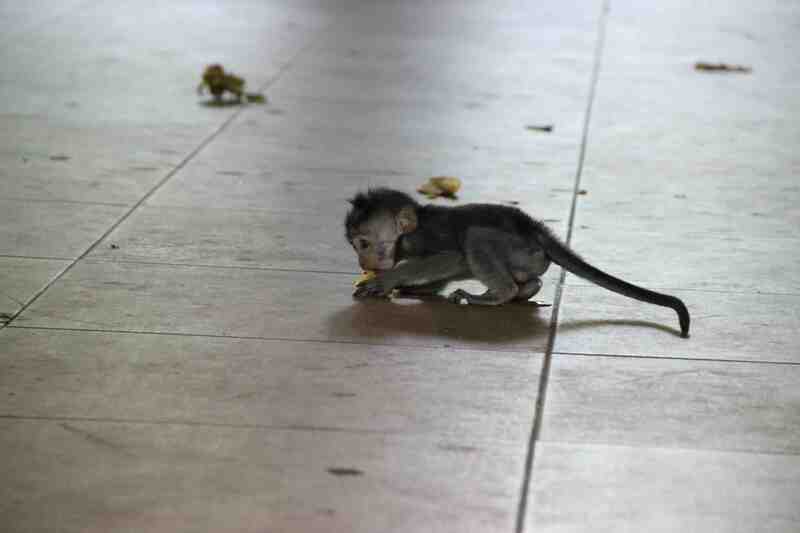 The other monkeys left us alone for the most part, and I had so much fun shooting photos. I probably took around 300 shots in 40 minutes. 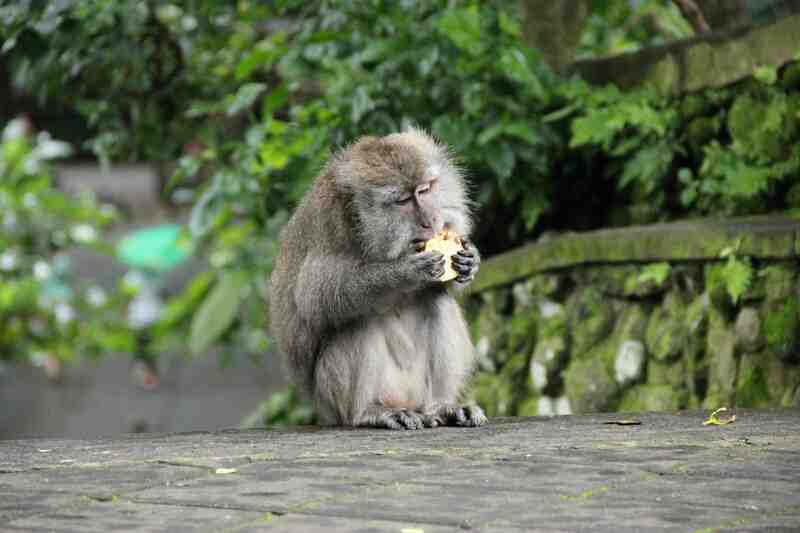 Many tourists bought bananas from the stand at the entrance, with a sign that read: “Official Bananas of the Monkey Forest.” However, once they realized that these bananas made them a prime target for the fearless monkeys, some chucked the bananas and ran. 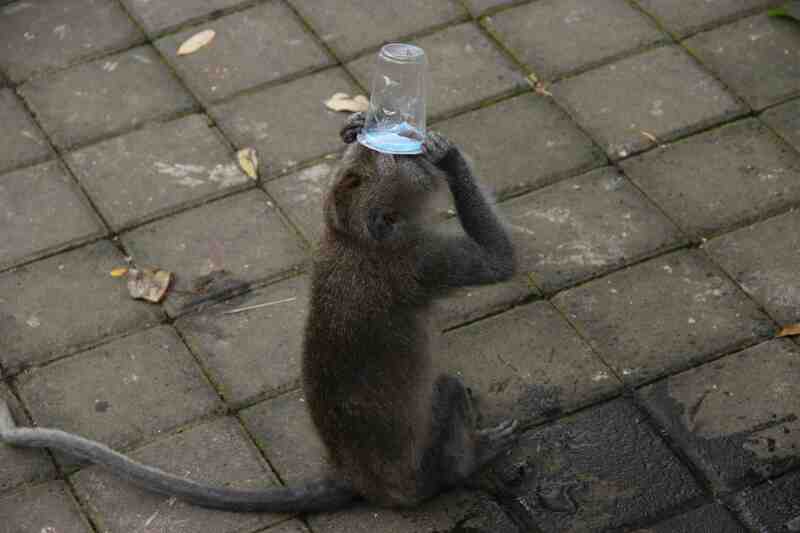 Water cups were also in high demand – many monkeys snatched the cups from tourists and then tried to figure out how to drink the water inside. She asked us to get help, so we quickly ran to find another guide, who came with a slingshot to rescue her. He only had to snap the rubber band on the slingshot and the monkeys backed off. The poor woman was mostly unscathed, with just a few teeth marks on her arms. 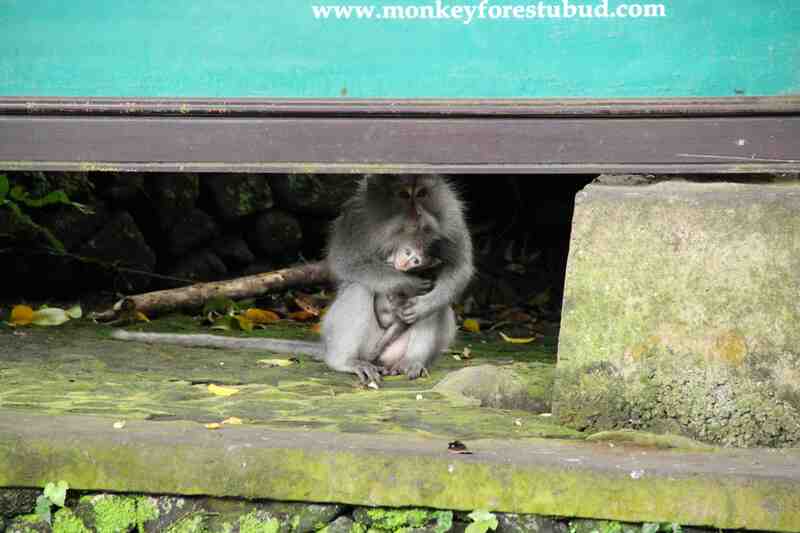 And we didn’t want to be stuck with the monkeys when it got dark in the forest, so we headed back to our hotel to recover. 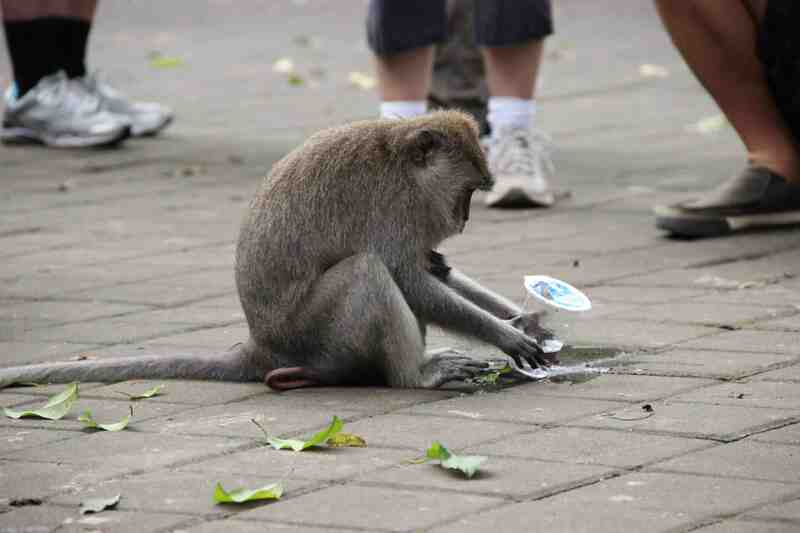 The tour experience was lots of fun, but it was probably the most touristy thing we had done in Bali so far. And, the constant consumerism was hard to stomach. It was a nice overview of the art and culture in the region, but we were excited to explore the rest of the city on our own before heading out to the Gunung Batur, the most active volcano in Bali! Until then, selamat tinggal! Very true – and a good model for solving the inequality problem. I wonder what the main criticism was, seeing as it wasn’t more widely rallied around? Environmental issues are really taking a back seat to social issues in today’s society, but the truth is, they are so interconnected that we need to deal with them in tandem. We may be able to feed starving people today, but how will they feed themselves tomorrow if we take away all of their natural resources? 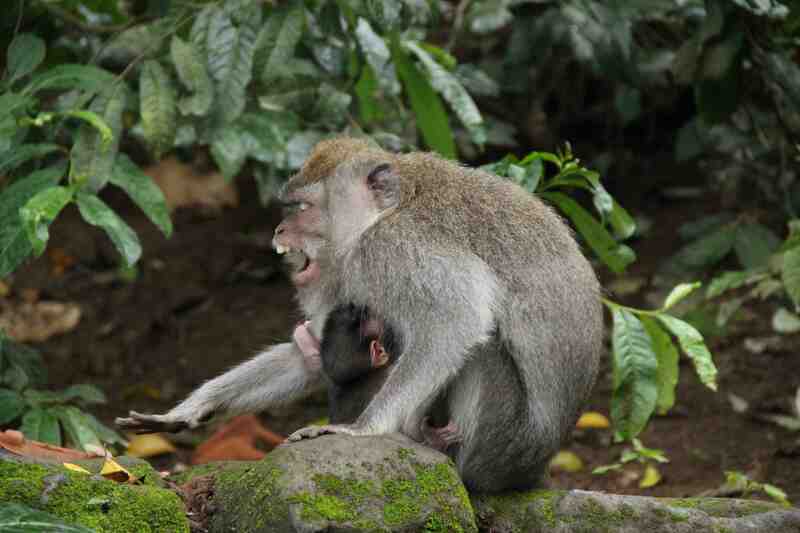 The photos of the mother monkey wrapped around her baby were absolutely great! Real portfolio pieces! I’m curious as to how old the babies were though. 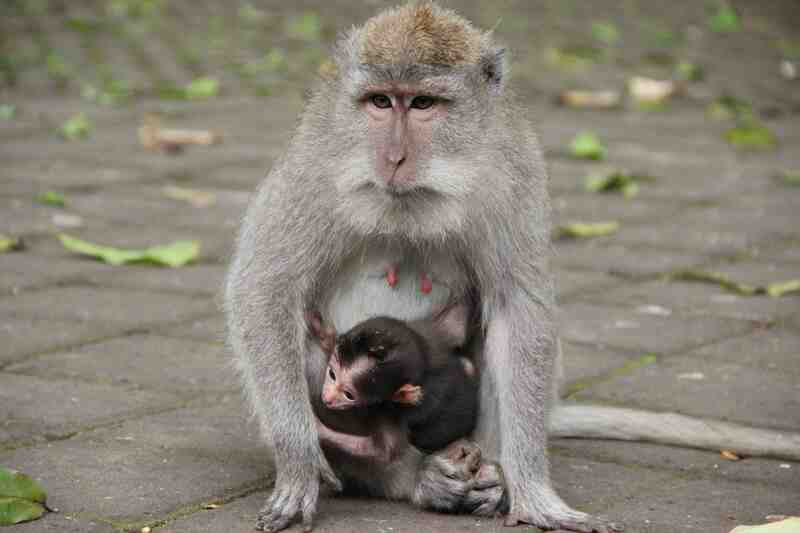 They certainly don’t look like newborns but considering the mother and baby were still extremely attached, I would assume less than a year. Did the guides mention anything? Thanks, Kassie!! They were so much fun to photograph. I actually didn’t find out how old they were – but I think your deduction is probably accurate! Some were able to go off on their own, but they always came back to their mother within a few minutes. It really is colorful! Thanks for reading – there’s more to come! Love the rooflines of the Hindu temple buildings! So many great photographs and you’ve done a great job detailing all the interesting (and sometimes disappointing) aspects of your trip so far. It was amazing how much of the mundane everyday atmosphere was truly beautiful! Thanks for reading!